All N/S BANDERA/SCENIC LP NS homes currently listed for sale in Helotes as of 04/20/2019 are shown below. You can change the search criteria at any time by pressing the 'Change Search' button below. "Breathtaking and Spectacular Views!!! 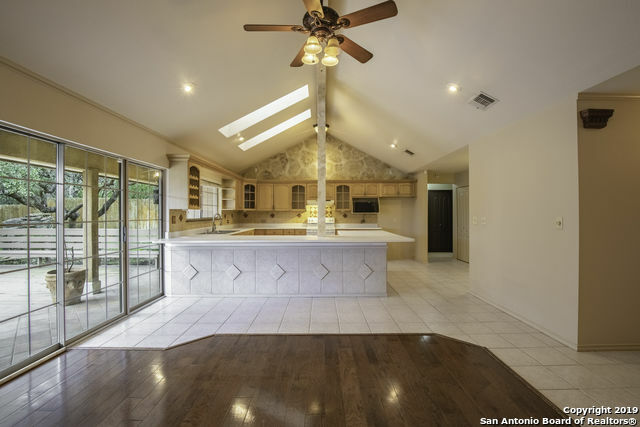 Come home to this beautiful one story house on 2 acres of secluded property in Helotes! This spacious, open floor plan, home features 3 bedrooms and 2 1/2 baths with tile and wood flooring throughout. The large deck is perfect for outdoor entertainment with an outdoor kitchen and perfect views of the Texas Hill Country! Located just minutes from Old Town Helotes, Fiesta Texas, La Cantera and The Rim! Schedule a Showing Today!"